In my mild-mannered persona as an academic in science education, I teach and research ways that science can be better taught in Australia and globally. But every year I also explore the world of science books. I scope what’s new and interesting for my not-for-profit science book blog, and the Big Ideas Book Club I help run in Melbourne. In 2017, five books in particular grabbed my attention, covering the fields of psychology, biology, history and physics. This book won the Royal Society Book Prize in 2017. 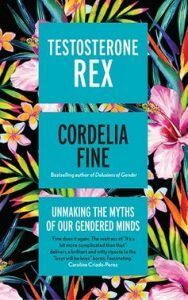 The author is University of Melbourne’s Cordelia Fine, an academic working in historical and philosophical studies with a background in experimental psychology. With discussion of feminism in the media on a regular basis, this book provides an important critique of previous research that has linked many underlying societal assumptions about testosterone to explain behaviour of both men and women. For example, “men engage more in risk-taking behaviour”. Many of us assume that science is done without prejudice, but Fine highlights how social factors influence what research and concepts are considered important. This can compound an over-simplified notion of how testosterone affects us both biologically and socially. Fine covers a wide range of topics in this short book, and often I found myself wanting to know more. But I think she successfully achieves her aim of getting us to reconsider some assumptions in our everyday lives. She helps the reader realise that when it comes to testosterone, things are a little bit more complicated than we may have assumed. This book is at the top of my holiday reading list. It’s part of a wave of science books directed at understanding the inner minds of dogs, their behaviour and their evolution. Growing up with chihuahuas in the house, it can be difficult to reconcile how my family dog had somehow evolved from the wolf. While foxes are not wolves, the question of how wild animals can be domesticated was investigated by a team of researchers in Siberia, commencing in 1959, led by Dmitri Belyaev and Lyudmila Trut. The latter is currently head of the research group at the Institute of Cytology and Genetics of the Siberian Department of the Russian Academy of Sciences, and one of the authors of this book. The premise was quite simple: to recreate the process of domestication from wolves to dogs – a process that is estimated to span 15,000 years – by selecting and breeding foxes on the basis of their tameness. 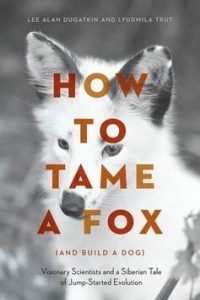 Trut and co-author Dugatkin (a biologist and science writer) write about the history, politics and outcomes of this experiment, including genetic, behavioural and physical changes seen in wild foxes as they became tame foxes with floppy ears, curly tails and an interest in human companionship. This looks perfect for anyone interested in the history of dog-kind, and in how scientists answer questions about our relationship with our closest companions. Code Girls is one of several recent books that tell stories about women’s involvement in history and science – others include Hidden Figures (2016), The Radium Girls (2016), Rise of the Rocket Girls (2016), and The Girls of Atomic City (2013). The previously untold stories of these remarkable women are being recorded as they get older, and as previously classified documents are shared with the public. 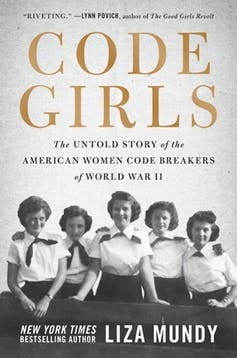 This particular book tells the story of some 10,000 women who were recruited by US military intelligence during World War II to decipher Japanese and German military codes. A great opportunity for highly educated women, they were taken from around the country and moved to live in dormitories in Washington and Arlington. Here, they had to deal with sexism, bureaucracy, relationships and new-found freedom. To prepare the book, author Liza Mundy – a journalist who has written for the Washington Post – interviewed 20 of these code girls, who over 70 years ago had taken a vow of secrecy about their work. I literally cold-called most of the women, and they were delighted to hear from someone who wanted to know about this. I was struck by the number of adult sons who were really proud of what their mothers had done and had wanted them to tell the story forever. This book captures the highs and lows of these brave women, and celebrates their rich and varied impact on generations of women working in science and technology. Mass is one of those terms that many of us first encounter in primary school, but what is it, really? Popular UK science writer (and former scientist) Jim Baggott takes us on a journey through mass. He presents early philosophical considerations, how mass influences the elements of the periodic table, and then to modern considerations of mass that have come from recent work from quantum physics, field theory and the standard model. 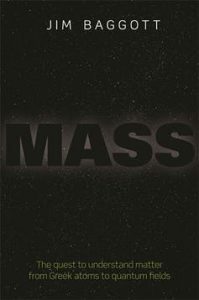 Typically, we consider that mass is a property that all things “possess”, but Baggott asks us to reconsider this idea, and to think that mass is an outcome of what things “do”. I found his concluding chapter “Mass without mass” to be a great example of his writing in Mass. In this he brings us to the question of matter – via a familiar and everyday substance – frozen water, an ice-cube. He asks “What is this cube made of? 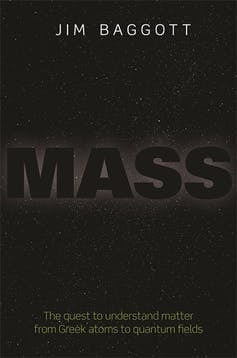 What is responsible for its mass?” Using this simple example, he recaps and brings to a prosaic conclusion what is an enthralling, philosophically deep and scientifically rich, story. This is part of the Baby University series of board books written for babies. 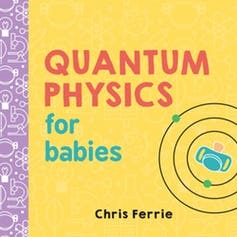 Author Chris Ferrie is an academic from the University of Technology Sydney, who conducts research into quantum physics. many parents I talk to find mathematics and science scary. Whether it is intentional or not, they steer [their children] away from these topics. I purchased the Baby University series of books for my little person, who likes to chew them. But with him, I have enjoyed the colourful and varied diagrams that represent the complex quantum concepts with minimal text. The book is a way for parents and children together to explore science concepts and connect to the ideas and representations that they use. Science has its own language of words and images, and the earlier we explore these, the less mysterious and unknowable science will seem to be. These are just a selection of the many science books that come out every year to enlighten, enthral and entertain us. I struggled to suggest only five books. 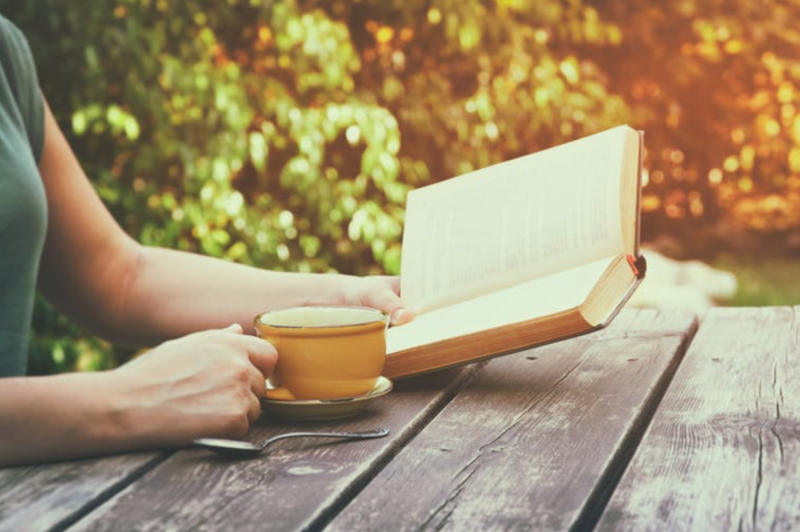 When you choose a book to get you through the holiday break, make sure you have a look at what science has on offer, whether it’s about birds, space, the human body, psychology or robots. Science offers us a new perspective on the world – one that is intriguing, affirming and full of life, it’s not just about equations and numbers.